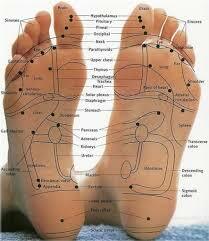 Re-balance your organs through meridians that correspond to reflex points on the soles of your feet. By trigger pointing the meridians on your feet, your organs will be re-charged and cleansed, and your feet and legs will feel fantastic! This massage works on tendons and ligaments to stretch and release tension for flexibility.